The chariot brought unprecedented mobility to the Bronze Age battlefield, revolutionising warfare in the Near East! 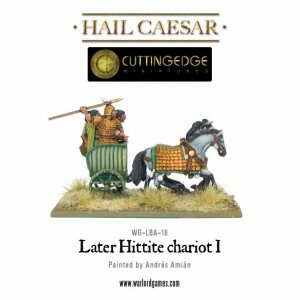 The basic chariot unit was the chariot team itself consisting of the chariot, the span of horses, the charioteer who drove the vehicle, the chariot warrior, and one or more chariot runners who were supporting light infantry. Five or (more often), six chariots formed a chariot troop, and 24 or 25 or 50 chariots formed a chariot squadron. Usually, three squadrons were brigaded together to form a unit of 150 chariots. Four such brigades formed a bigger formation of 600 chariots. A single chariot could have a devastating effect on a group of raiders or marauding nomads, rather like an armoured car in more recent times in these regions. This might be the entire chariot force of a powerful city-state or province and the entire chariot strength of a wing (division) of the army. At Kadesh, the Hittite chariotry attacked with four ‘bodies’ of 600 chariots and there were a further 1,000 chariots held in reserve. On a skirmish level, a single chariot might be a tactical unit and there are records of chariot teams being allocated to guard routes into besieged cities or sections of coast threatened by raiders. A single chariot could have a devastating effect on a group of raiders or marauding nomads, rather like an armoured car in more recent times in these regions. 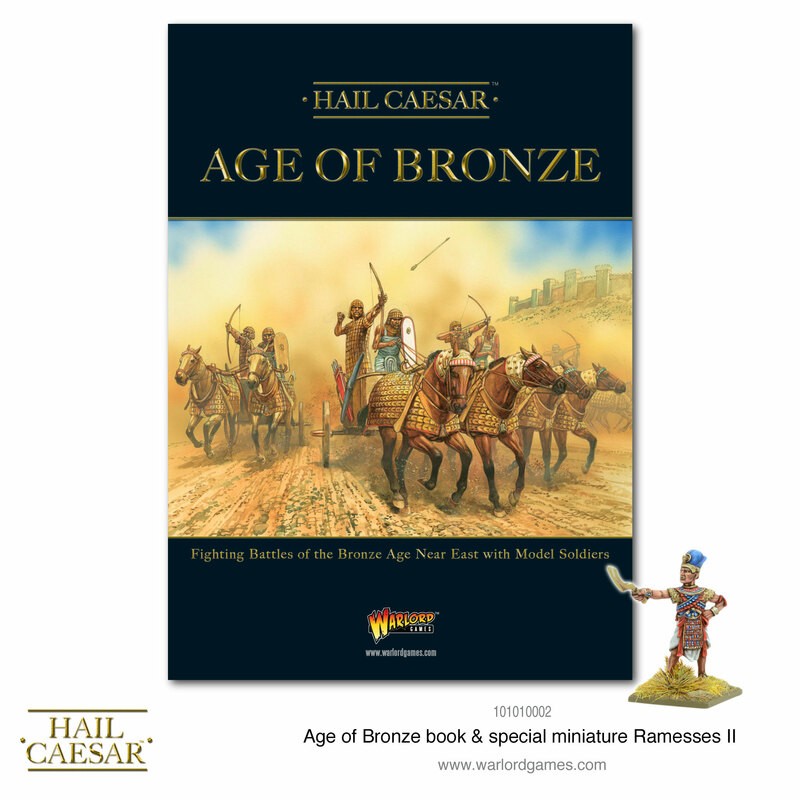 Chariots both replace and augment the lighter cavalry units on the Bronze Age battlefield. With high mobility, along with decent clash and sustain values, a chariot can smash a hole in the enemy battle line or manoeuvre to exploit an open flank. 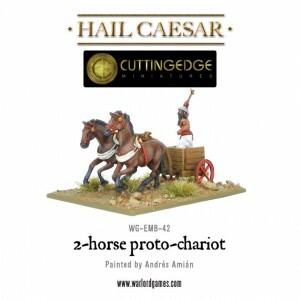 Supporting infantry had many roles to play, including finding ways for chariots through rugged ground, helping to carry light chariots over obstacles, acting as grooms, fighting beside chariots in combat, screening the chariots, rescuing fallen chariot crew and capturing fallen enemy chariot crew. 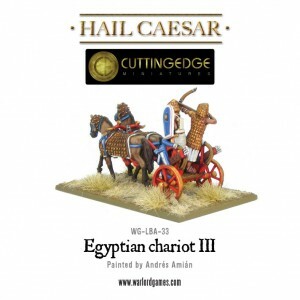 Chariot crewmen who lost their chariot could join the supporting infantry. By the time that the two horse light chariot was in use everywhere, so were supporting light infantry. 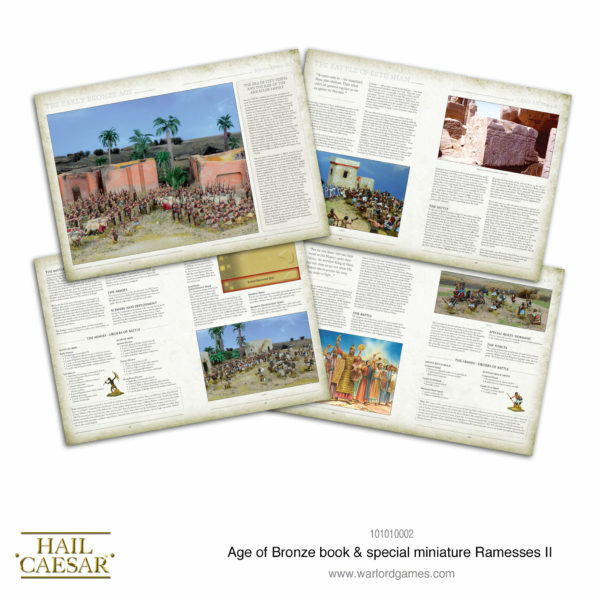 Such troops are mentioned frequently in records and depicted in battle scenes following chariots. There were several special military terms for them. In Egypt they were known as ‘runners’ which is Pehrer in Egyptian, derived from the verb ‘to run’. The name is actually written with a special hieroglyph depicting a soldier running with shield and javelin. Several Egyptian soldiers who recorded their battle experiences in tomb inscriptions acted as Runners. Much like modern mechanised infantry, chariot runners are part of a unique combined arms formation. Most will have the Sub Unit special rule, which means they have to remain within 6″ of their parent unit. Pair runners with your heavy chariots to avoid restricting the mobility of your faster units. Use these small infantry units to rapidly exploit the breakthrough created by a chariot charge! 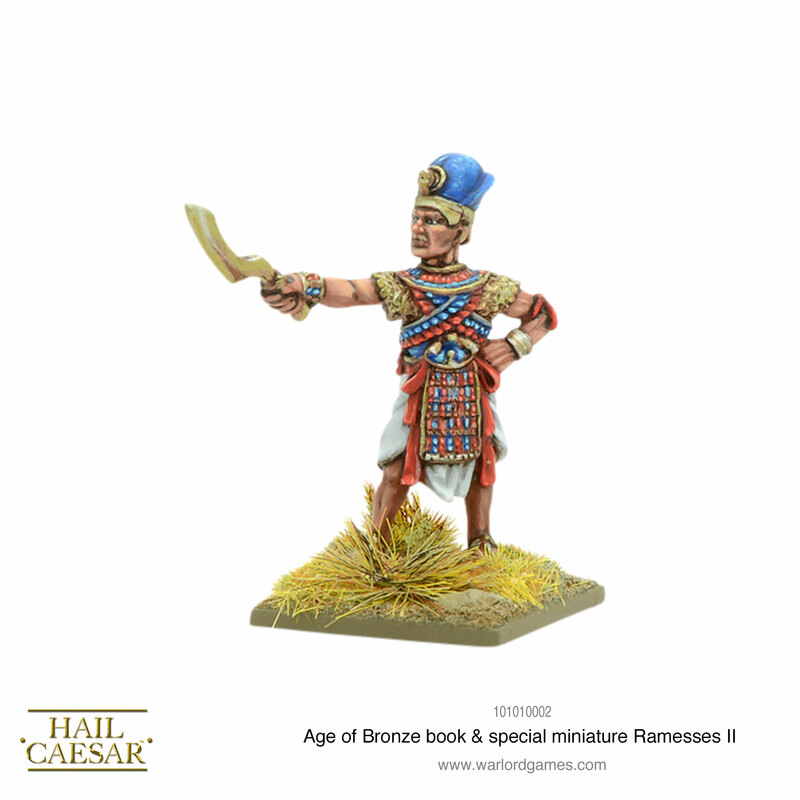 Directly order from us and you’ll receive a FREE Ramesses II figure! The post Spotlight: Bronze Age Chariot Tactics appeared first on Warlord Games.